This is an era of smart phones and everything we know is going online. After tremendous success with their Facebook page and amusing us with their own version of Kolaveri Di song, Pune Traffic Police has yet done it again. 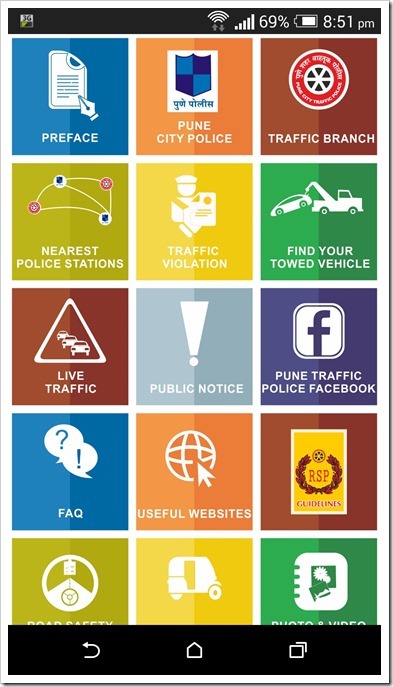 Pune Police has recently launched a new app for smartphones called the “Pune Traffic App”. At present only the Android version of the app is available and the iOS version is under review. The app is developed in collaboration with HardCastle GIS and Turnhere designs. With just over 9MB, the app is quite elaborate. You are greeted with a choice of language to choose between “English” and Marathi” version of the app, a step that was very well thought of in this fast turning cosmopolitan city of Pune. The app has an exhaustive list of all the police stations in Pune with details of Police personnel and their mobile numbers and allows you to make a call to those number just by the single tap on the number. The app is designed to give you all the Push Notifications from the Traffic Police when they are available related to traffic and safety. It also helps you in navigation by providing you with LIVE traffic updates on a real time basis. You can now also locate the nearest police station from your current position using this app with the help of GPS. Apart from traffic details, the app has detailed list of all the traffic violation fines. So, if the next time you are caught for violating a traffic rules and the traffic cop tries asks you for a ridiculous amount of fine, this app may come handy. With the growing menace of the Autowallas charging exuberant fares on the pretext of bad meters or having faulty meters, this app can come handy. It contains the latest RTO approved fare chart for the auto with both day and night charges. You can also quickly check the charges of prepaid auto from Railways station or Bus Stand to your destination in case you are not convinced of the rate quoted. Furthermore, on navigating the app one can find all the police control rooms number from highway control room to Pune rural and Pune Urban control room number. 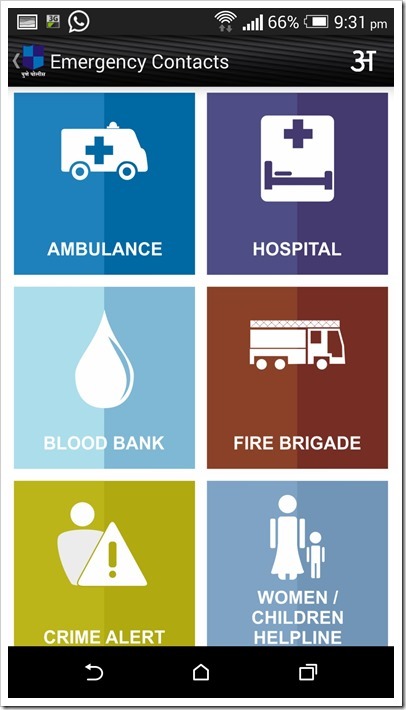 There is also a detailed list of the emergency contact numbers of various hospitals, ambulance services, blood banks, Fire brigade and even crane services. That’s not all, the app also educates you on various traffic signages, road markings and traffic safety tips. A user can also directly communicate with the Department using this app to suggest an idea, or raise a complaint or praise the authorities. I think this app would be of immense help at times of distress. It’s not just helpful for Punekars but would also help the people from other places who travel to Pune. I suggest this to be one of the must-have mobile apps for anyone are staying in Pune. Download the app from play store, and let us know what you think about it! Flipkart Sold 10 Lakh Moto SmartPhones In 5 Months!